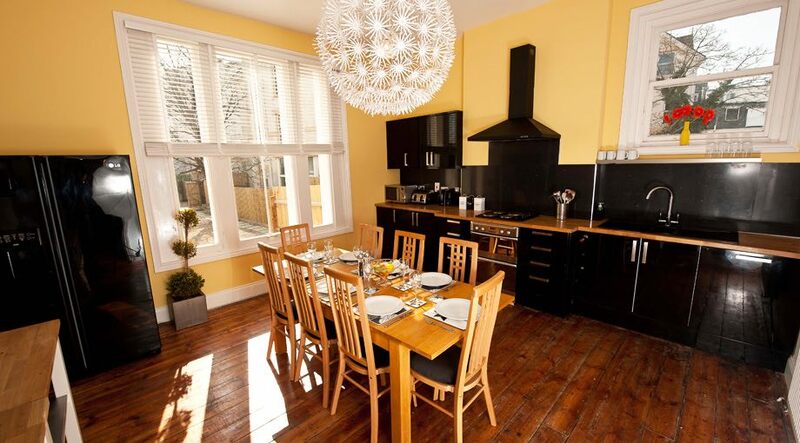 Yellowstones | Yellowstones Beach House is a unique, boutique, large self catering house that sleeps 26 people, located on a beautiful cliff top in Bournemouth offering fabulous sea views of 7 miles of golden beaches. 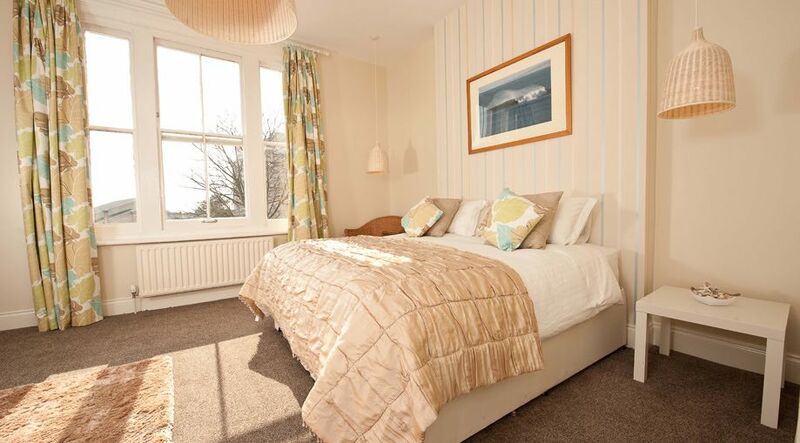 The beach house is only a few minutes stroll from all the local attractions of Bournemouth. 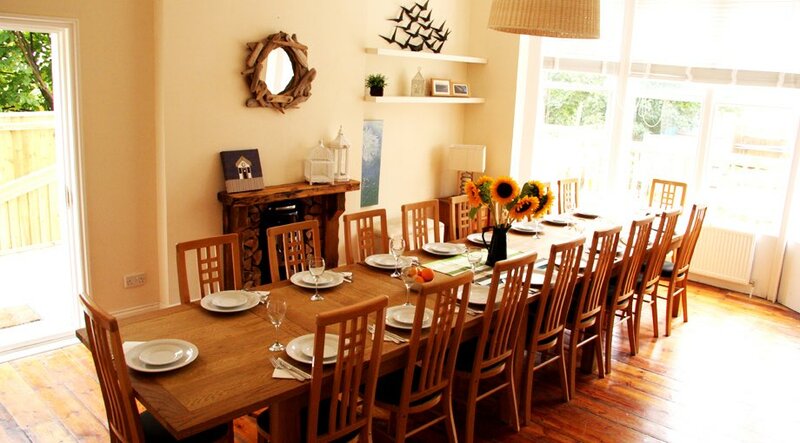 Yellowstones Beach House is a unique, boutique, large self-catering holiday house that sleeps up to 26 people, located on a beautiful cliff top in Bournemouth offering fabulous sea views of 7 miles of golden beaches. 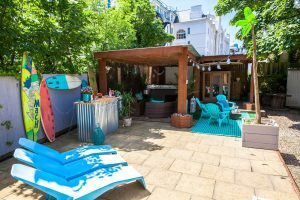 The beach house is less than a five-minute stroll from all the local attractions of Bournemouth with a large variety of Bars and restaurants. Our trusted Partners at Little Pickle can offer in house catering and evening BBQ’s. It’s the ideal venue for family holidays, hen do’s GLO Party Pamper Packages, get together’s and special occasions – whether they be short breaks or longer holidays. For Golf Groups and Societies. Nearby courses include the likes of Parkstone, Broadstone & Knighton Heath. The house is large and spacious, spread over four floors and designed to provide comfort in a tasteful, yet relaxed environment. This design creates a calming ambiance making it the perfect location for a holiday retreat. The facilities at the house include a Games room, double cinema lounge and large garden with hot tub, sauna. 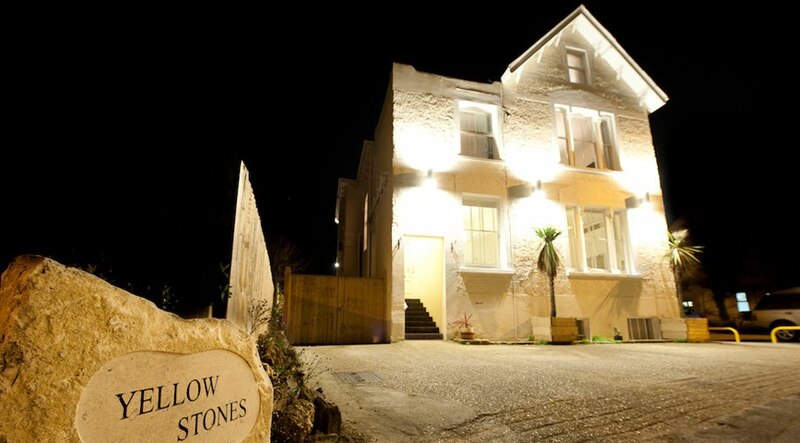 Yellowstones Beach House is set just one road back from the beaches and very close to Bournemouth Pier with secure off road parking for up to 4 cars. A Hot Tub and Surf lessons are also available should you wish to hire £200 for Weekends or £230 for 1 Week . 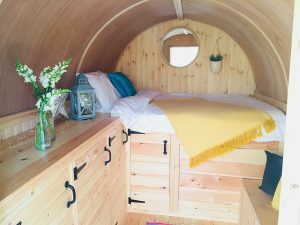 Check out our new Shepherd Hut offering Basic sleeping for a further 2 Guests (available to hire as an add on package) should you need more rooms please ask for this when booking. 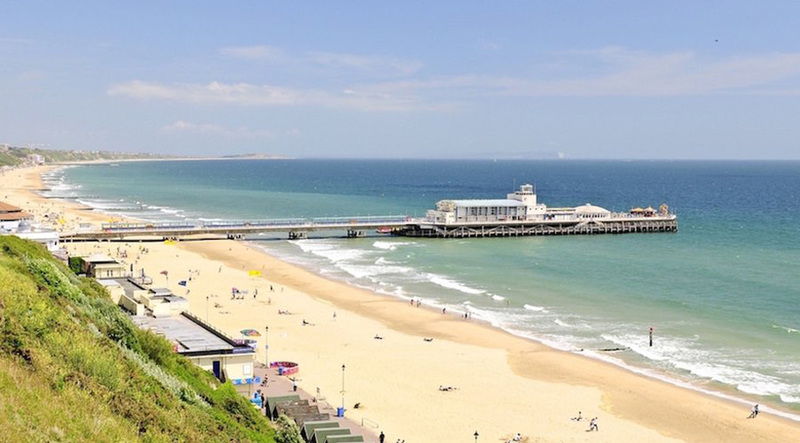 To add a special memory to your stay, why not try your hand at surfing- what better place to experience it than the award-winning Bournemouth beach?! We offer 2 hr group surf lessons at an additional cost of £30 per person with all kit provided. Check out Bournemouth Pier live from Yellowstones Beach House Bournemouth Surf Academy Web Cam. Please mention in your booking enquiry if you would like more details! For Bubbly Presecco, sizzyling sausages on the BBQ, Cocktail making classes and afternoon cream teas, with a fantastic out door cinema screen. Contact Events Organiser Aimee direct on; 07779 123471 for more information. Surf Shack Spa’s (located at the back of Yellowstones Beach House). If you wish to explore more of the coast we highly recommend our partners based at Hengistbury Head, Stand Up Paddle board and see the coast line with Hengistbury Activity Centre. 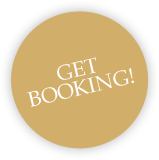 If you wish to Check Availability on our Calendar please go to the Bookings page (at the top of this page). Look half way down the page and you will see the the following tabs… Price List / Availability. Send us an email with our enquiry form should you see dates that can work for you. Take a virtual Walk around Yellowstones with each room photographed by google maps. Just use the white arrows to navigate around and look around in each room.